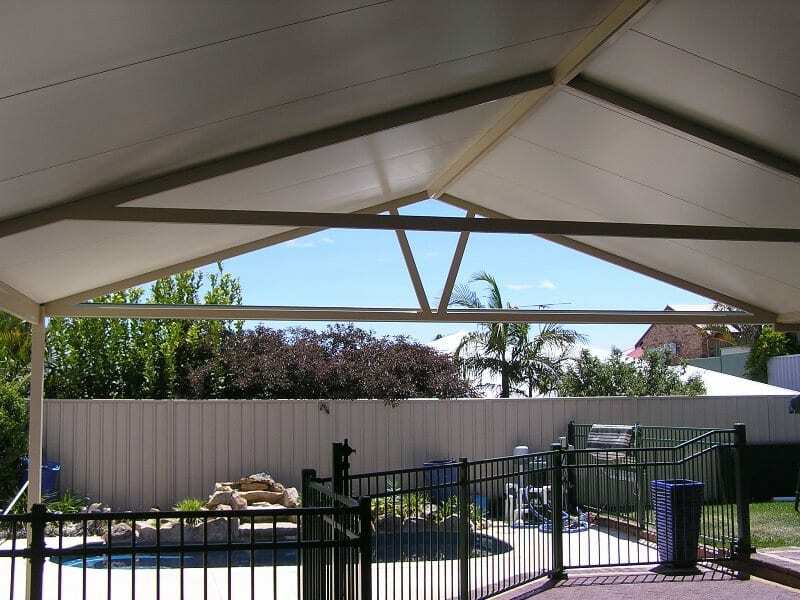 SolarSpan is an exciting product for Perth patio builders for its heat-reduction properties. 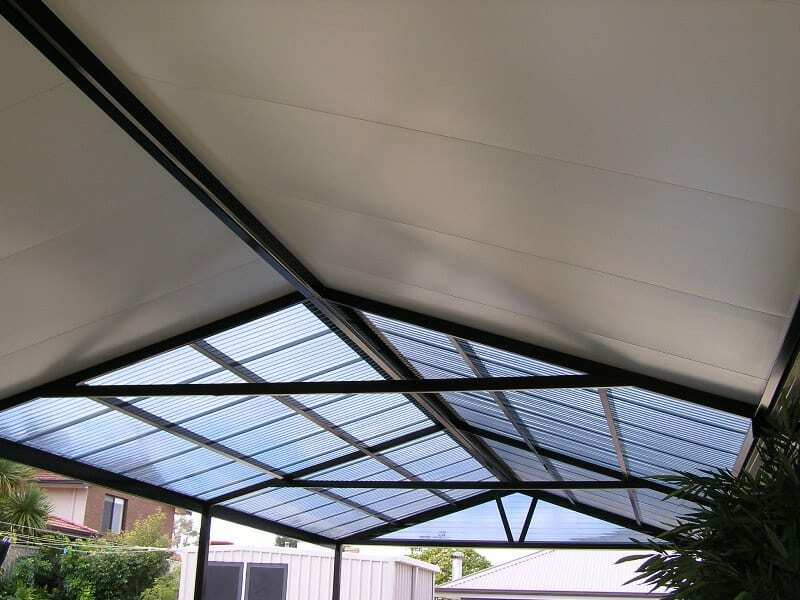 A popular option for both residential and business applications, the streamlined, uncluttered look of a Solar Span patio is ideal for broad-ranging protection from the sun’s damaging UV rays. 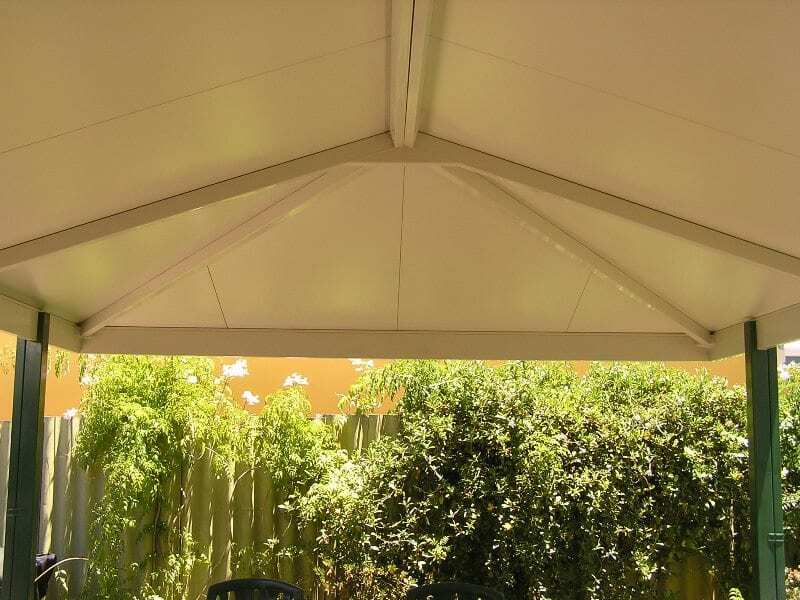 As usual, One Stop Patio Shop relies upon the trusted Colorbond roofing system, which comes with added weather protection. 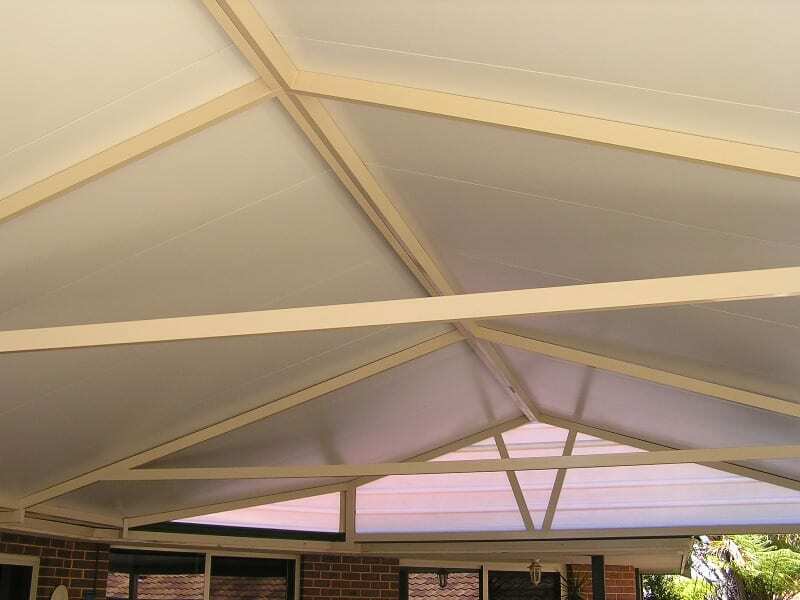 This insulated roofing system not only blocks heat, it prevents condensation forming on the sheets to help keep your patio looking better for longer. 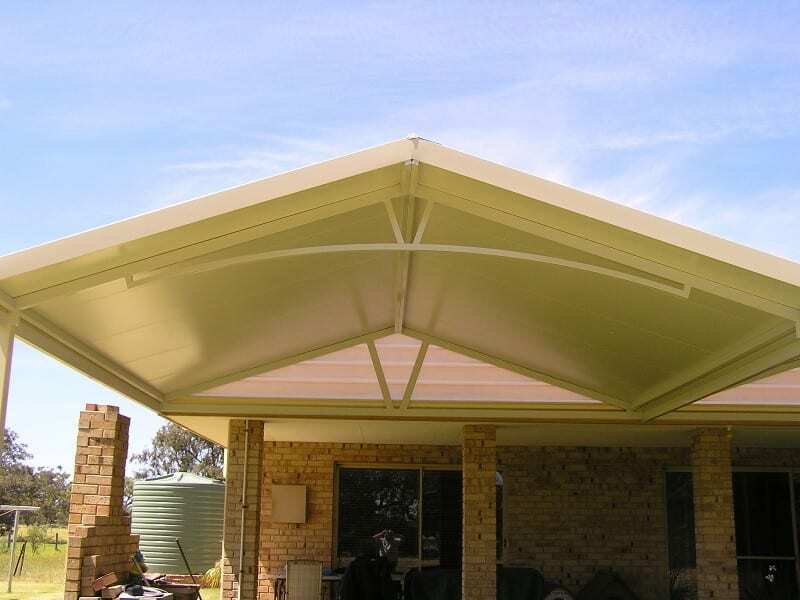 Solar Span is 100% Australian-made from high tensile Colorbond steel. The insulated core, made from solid polystyrene core up to 50mm thick, is bonded to two outer layers of Colorbond steel to form the ceiling. This creates a compact and durable roofing system that is able to span incredible distances without bulky structures holding it up. The roof is strong enough to walk on in case you need to retrieve a stray ball or Frisbee. SolarSpan is a great option for flat roof and gable patio designs. It’s one of the best roofing products on the market and is well suited to our patio designs.